William F. Mondt, 86, of Michigan City, passed away Sunday, July 29, 2018. He was born January 18, 1932 in Des Moines, Iowa, to William L. Mondt and Marie T. Mondt (Sigmund). He is survived by his wife Diane H. Mondt (Grygiel). They were married June 13, 1979 in Las Vegas. He is also survived by 3 children and 1 stepson. Michael W. Mondt, Julie L. (Patrick) McKiel, Wayne A. Mondt (Lynn), Ronald Wamser (Julie), 7 grandchildren, and 5 great grandchildren. 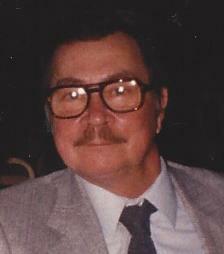 He attended St Marys grade school and high school in Michigan City and graduated in 1950. He is a Veteran of the U.S. Army; he served in the Korean War. He is also a member of the VFW post 2536 and a member of the United States Steel Workers #6103. He retired from Midwest Steel in 1997 with 34 years of service. William also liked outdoor activities and was a do it yourself kind of person. Visitation will be held Wednesday, August 1, 2018 from 4:00 PM-8:00 PM at the Newhard Funeral Home, 58 W. Walnut Street, Westville, IN. A Funeral Mass will be held on Thursday, August 2, 2018 at 10:30 AM at St. Mary Catholic Church in Otis. There will be a visitation at the church from 9:00 AM until the time of service. Father Rich Kozak officiating.